Our mission is to support and encourage one another through prayer, fellowship and academic opportunities for our children, while we continually strive to glorify our Lord and Savior, Jesus Christ. We believe the Holy Bible, both Old and New Testaments, to be the inspired Word of God. They are without error, the complete revelation of His will for the salvation of men, and the divine and final authority of all Christians’ faith and life. We believe in one God, Creator of all things, and infinitely perfect. We believe that Jesus Christ is fully God and fully man, conceived by the Holy Spirit and born of the Virgin Mary. He died on the cross, the sacrifice for our sins according to the Holy Bible. Further, he rose, bodily, from the dead, showed Himself risen, ascended into heaven, where, at the right hand of the Majesty on High, he now is our Priest and Advocate. We believe the ministry of the Holy Spirit is to glorify the Lord Jesus Christ and during this age, to convict men, regenerate the believing sinner, indwell, guide, instruct, and empower the believer for godly living and sacrifice. We believe salvation is only through the grace of the Lord Jesus Christ by His shed blood. It is received, through faith and repentance, and results in a new nature, which is nothing less than participation in the life of God, who makes all things new. We believe that the Holy Bible teaches that the Lord Jesus Christ could physically return at any moment for His church. This coming will occur before He sets up His earthly kingdom and is a present motivation for godly living. We believe in the resurrection of the dead; of the believer to everlasting life and joy with the Lord, and of the unbeliever to judgment and everlasting separation from God. To become a member of NWHE, one must complete all registration paperwork, and pay annual registration dues. We have early registration held in the summer. Payments can also be made at Orientation which is in August. The teaching parent must read the Mission Statement, Statement of Faith, and Policies and agree to uphold the Christian convictions of NWHE while participating in any NWHE activity. Membership may be revoked by a simple majority vote of the Steering Committee (in the event of a tie, the Chairman casts the deciding vote) when a member has failed to comply with any of the forgoing policies of NWHE. It is at the Steering Committee’s discretion each year to set a limit on the membership. However, this is not a favorable action and the Steering Committee will go to great lengths to keep membership open. In the event the group is at maximum membership, a waiting list will be maintained. Members of Northwest Community Church may join NWHE at any time. The Steering Committee reserves the right to refuse membership (either ongoing or new) to any person, for any reason that is necessary for the safety of NWHE members, whether that be for physical, spiritual or emotional protection. The Steering Committee and all chairpersons of committees must read, agree to, and live by the NWHE Statement of Faith. The Steering Committee will consist of a Chairman, Treasurer, Registrar, Secretary, Communications/IT Coordinator, Field Trip Coordinator, and New Member Coordinator. Steering Committee openings will be filled by current Steering Committee member appointments and will be announced after the appointment has been made. The Steering Committee will create a list of committees and job responsibilities (The Job List) to facilitate the functioning of NWHE, according to the current needs of NWHE, according to the current needs of NWHE. Positions available will be decided on a first-come-first-served basis. Members desiring to add a new job must follow the following steps: Submit a proposal to the Steering Committee that includes the definition of job, scheduling, budget and/or committees needed. Proposals need to be submitted no later than one month prior to Orientation held in August. The Steering Committee will then vote and, if approved, will announce the new position. 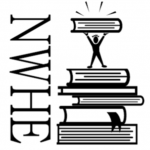 NWHE is a homeschool group with events for homeschooling children. Non homeschooling guest may attend events if the committee running the event approves AND the guest are in attendance with both a homeschooling parent and homeschooling sibling. Non school age relations are welcome as long as the committee agrees. Lists of scheduled field trips, and events may be published at the beginning of each year. Changes and/or additions may be posted at general meetings and/or on the website. Check with individual event/activity coordinators for any last minute updates or changes. To attend a field trip, event or regular meeting, the person MUST be a NWHE member. If you desire to bring grandparents or other out of town guests, please call the coordinator and ask them if there is room. Please be sure to RSVP to the appropriate person no later than the deadline given. If you RSVP after the deadline, it will be up to the individual coordinator to decide if you may attend. If the limit in numbers for the event is reached, it is at the coordinator’s discretion if they want to maintain a waiting list. OUR DESIRE IS TO HONOR GOD IN EVERY AREA POSSIBLE. In order to make a good impression, please dress appropriately and remind children of proper field trip behavior. Please consider that our actions represent not only our group and homeschoolers in general but most importantly, our Lord and Savior, Jesus Christ. Open events: NWHE will be offering non-members participation in park day unless otherwise approved by the Chairman. Orientation, a major organizational meeting will be held at the beginning of the school year. At this meeting, much of the information and many of the opportunities to sign up for activities, and events will be presented. Also, payment MUST be made by or at this meeting or membership will not be completed and therefore deleted. There may be such events as Bike Rodeo, Mom’s Nights Out, Christmas Party, Book Swap, etc., all events, field trips, meetings and activities may be added or canceled as the need arises. General meetings are for adults only, unless otherwise indicated. CHILDREN MAY NOT BE LEFT IN ANY ROOM AT NWCC UNSUPERVISED OR WITHOUT PRIOR APPROVAL. Field trip and event schedules that are handed out at the organizational meeting may be subject to change. As the event date draws closer, the information will be posted online. The NWHE e-loop is for NWHE members’ postings ONLY. No business (home-based or otherwise) may be advertised on the e-loop. No other solicitations will be permitted. Members are encouraged to communicate information or opportunities that might benefit homeschooling families. Personal property of NWHE members may be requested or offered for free or sale. No political items may be posted, unless they directly pertain to homeschoolers and then ONLY posted by giving a website where the information may be found. (Note: subject line must read “political”). All activities, classes, events and parties that are not sanctioned by NWHE, but are advertised or announced on the NWHE e-loop, must abide by the Mission Statement, Statement of Faith and Policies of NWHE. A roster is kept in the NWHE Member site. It may be printed out, if you wish. (Only current members have access to our Member site, so the information is secure.) This roster is for NWHE business ONLY. It is not to be shared with any non-NWHE member, used for mailing lists, sales or any other unauthorized purpose.